we are proud of our quality seafood and the rich culinary opportunities it offers. Despite good intentions I find that people are often quite tentative about cooking fish at home, and the results do not always do justice to the beautiful jewelled specimens packed on the ice displays. There is also little information about how to select the best fish for the environment. Choosing the right fish to cook is already a bit of a minefield. Should it be whole, or fillets, Farmed or wild? Add to this how it was caught, and is it sustainable? The results are a palpable anxiety etched on to everyone in the fishmongers queue. 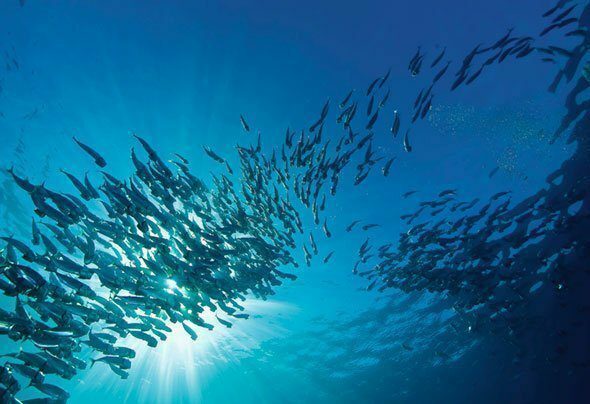 Awareness of global sustainable seafood issues is growing. Australian consumers are now demanding more evidence of where their food comes from and how it was produced. This quest for environmental provenance is a key factor in making the right everyday seafood choices. Being sustainable is essential to our daily life, it is not highbrow or a one off special purchase. Instead it comes right down to the fish chosen for family barbecues and the canned tuna that is used in your children’s lunchbox. 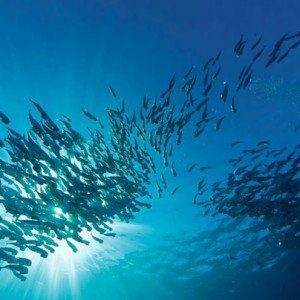 Environmentally responsible seafood production has hit the mainstream in the UK and Europe, where very public TV campaigns such as ‘The end of the line,’ and ‘Fish fight’ have resulted in Supermarkets having to transform their fish buying policies. 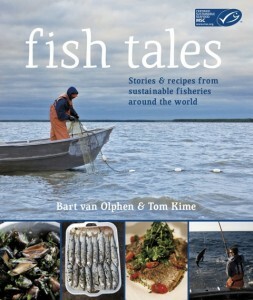 In Holland all their fish sold has to be certified as sustainable by 2014. 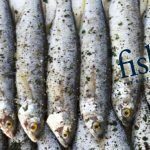 The supermarket chain Sainsbury’s recently ran a very popular promotion called ‘Switch the Fish.’ Customers who wanted to buy any of the three most popular species of fish, namely Cod, Salmon or Tuna were offered for free a more sustainable alternative species such as Coley, Hake and Pollock. The promotion had a 70% take up of customers who then returned to buy that more sustainable species. The good news is that Australian and New Zealand fisheries are generally well managed, however Australia also imports a huge amount of fish and seafood whose provenance is more of a murky issue, and we need to broaden our culinary approach to different types of fish. In Australia we still only eat a very small percentage of the fish species that are available. This in turn puts pressure on a few species of fish. By choosing fish and shellfish that is less reliant on so many other species for its own survival, we are helping to relieve pressure on wild fish stocks. We can make an environmentally responsible seafood choice. Here are some tips for making sustainable seafood choices without having to have a PHD in marine conservation or owning a bank. At a recent sustainable fish master class one student said that they had always avoided the cheaper fish thinking them inferior. This is not the case if you are buying your fish from good fishmongers, that smell of the sea, rather than old fish. Often these lesser -used species are fast maturing, quick to breed and have a high biomass. (They swim in bigger shoals and there are more of them.) These fish are often the target species for bigger marine predators. I think that this a good sign for the eating qualities of these smaller cheaper fish. If Tuna and Marlin like to eat them, then why shouldn’t we as well? Leather jacket are sweet tasting fish with a great firm texture. They are perfect for an Italian fish stew. You can always ask your fishmonger to fillet them as they have a slightly fiddly bone structure around the spine, but by no means impossible. This could be the reason why they are often the cheapest in the market, because they are considered a bit of a fiddle. We use them in a number of dishes and customers often enquire about ‘What that delicious fish was?’ Each fillet divides very simply into a larger and smaller piece either side of the bone. You could marinate the larger pieces to grill, and cut the smaller side into cubes for a fish curry. Mackerel when fresh are brilliant fish and great for the barbecue either whole or as fillets. They are at the cheaper end of the scale often at less than $10 per kg. Given that each fish will probably weigh 200- 250g you can feed a number of people in a very sustainable manner both for your wallet and the ocean’s future. The fishmonger can fillet them for you if you wish. The sustainable credentials of these fish are well known. Mackerel and other oily fish are fast maturing, and commercially under utilized. Please do not be put off by the fact that they are an oily fish, I think that this is one of their attractive qualities. Packed full of essential omega 3 they are very good for you. Use them when very fresh, with firm taught skin and bright eyes. Mackerel work with salty, sour and hot sauces and garnishes, which will cut through the richness of the flesh. Try them simply grilled with a horseradish and lemon dressing. They are also very good hot smoked. Some fresh sea mullet fillets make delicious eating and are a very sustainable table option. Like the mackerel, they are massively under utilized. This is largely due to their unfortunate name. They are often wrongly considered an inferior fish and one that can only be used as bait. This is unfair and really not true at all. Many people with this opinion have never actually eaten fresh sea mullet. Our diners love it roasted with a crispy skin. Indian, Thai and Middle Eastern recipes are always popular as there are so many great dressings and vibrant vegetable and herb dishes that can go alongside. The richness of the flesh works well with spices and needs to be balanced with salt and sourness. A complex balance of flavours and textures is important to make your dish exciting and leave your guests wanting more. Try roasting a fillet with some dried Indian spices such as ground coriander or cumin. Serve with a vivid salad of cucumber, fresh herbs, and pomegranate. 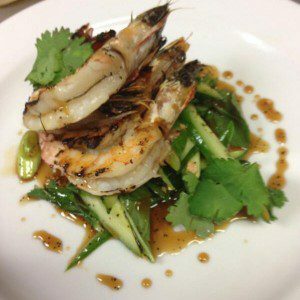 Another affordable easily accessible source of sustainable seafood are wild caught prawns from the Northern Prawn fishery. The NPF is the first tropical prawn fishery in Australia to receive the full sustainable certification from the Marine Stewardship Council. 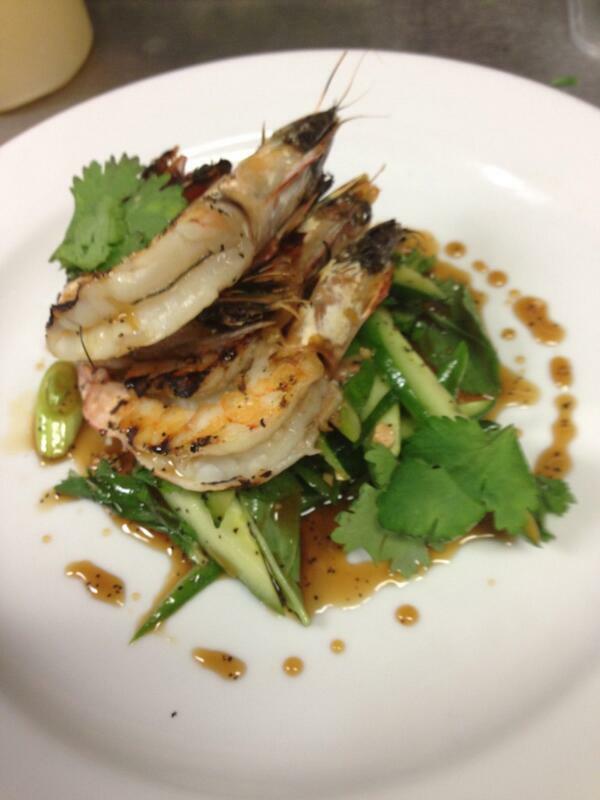 Banana prawns, Tiger and Endeavor prawns scored some of the highest points for environmental sustainable integrity. 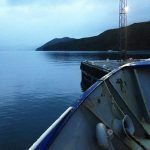 These scores were pitted against the internationally respected MSC system, which is a third party audit that guarantees fisheries as being sustainable. Achieving MSC certification for Tiger, Endeavour and Banana prawns makes these prawns visible and exciting for the new consumer who is focused on provenance. How and where these prawns are caught has led them to gaining this coveted international eco label. Much research has been done on the nets used so that turtles and sharks and other important sea creatures are not caught as by-catch. The prawns are harvested in areas that are away from their spawning grounds, thus allowing the prawns to successfully breed long before capture. The mature prawns grow quickly in the nutrient rich waters of the Gulf of Carpentaria at the top end of Australia. They are caught towards the end of their natural life cycle. In fact if they were not harvested they would soon naturally die. This Partnership between the most iconic Australian seafood – prawns with the internationally respected eco label of the MSC is very important for consumers. These prawns are now widely available in Coles and Woolworths and other seafood suppliers. Every BBQ in Australia can now be sustainable. For the consumer to be able to make a reliable affordable ethical choice on a daily basis means that our marine environment’s future is becoming part of collective consciousness. Sustainability is not a political move; it is a practical step to ensure the long-term viability of our fish and seafood. I have worked alongside many fisheries that have made their sustainable status very public and they have all benefited greatly from this move. As consumers we must be socially responsible stewards for marine sustainability to ensure our everyday seafood choices. We need to be profoundly conscious of our role in handing a healthy planet to our next generation.. This shows that ecological and ethical provenance is key, and something that is available to the Australian general public. For more information about seafood sustainability and how to navigate the minefield of how to eat fish and be ethical come to Fish & Co.
Executive chef Fish & Co. the sustainable seafood café.